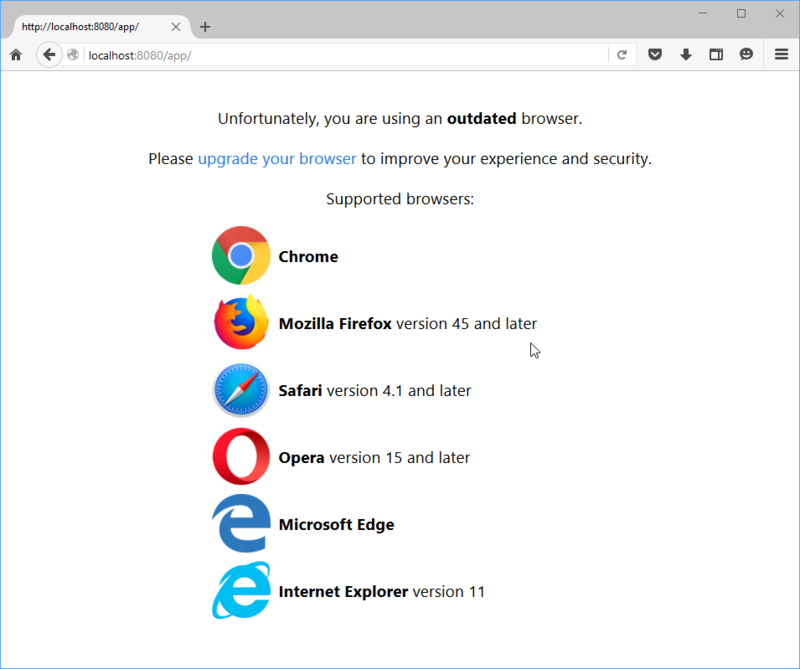 If the browser’s version isn’t supported by the application, the user will see a standard page with a notification, a suggestion to update the browser and a list of recommended browsers. Users will not be able to work with the application until they update the browser. unsupportedPage.explorerMessage – message for Explorer browser. Create a new *.html file template.